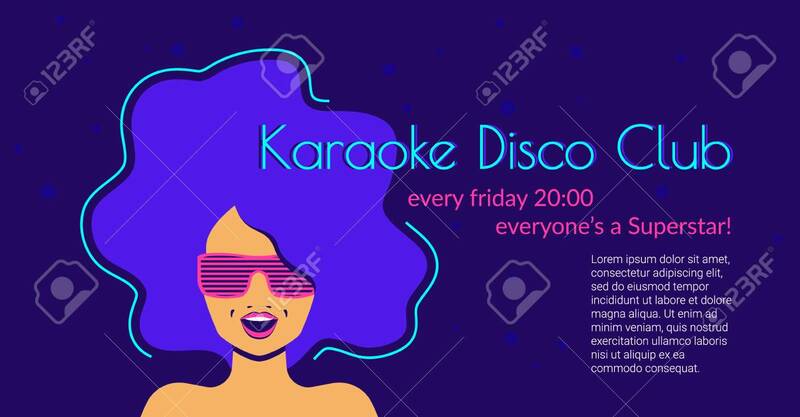 Karaoke Disco Club Flat Neon Vector Illustration Of Singing Woman Wearing Glasses On Violet Background With Copyspace For Text. Bright Neon Design For Poster Or Promotion Flyer Lizenzfrei Nutzbare Vektorgrafiken, Clip Arts, Illustrationen. Image 104645851.